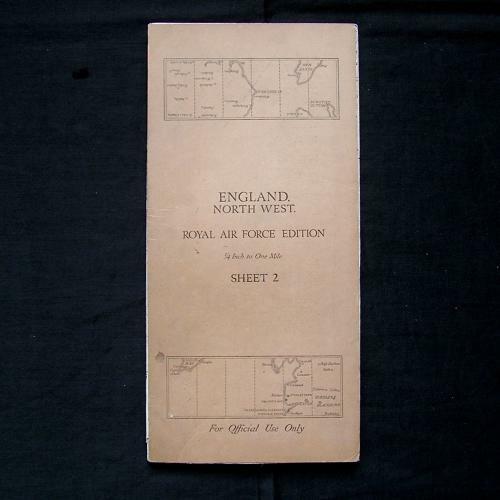 England, North West, Sheet 2, R.A.F. Edition dated 1937. 1/4" to one mile. Linen backed paper with card covers. Approximately 75 x 52cm. Shows wartime air bases operational at the time including Ronaldsway & Ramsey (I-o-M), Blackpool, Southgate etc. Folded and creased. Light wear and soiling only. Very good used condition. Stock code P20647.